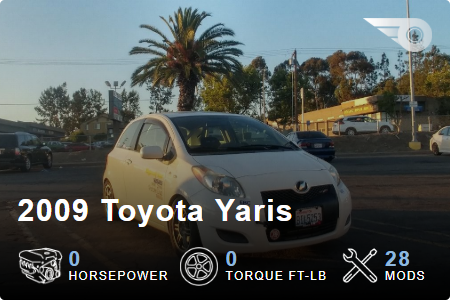 New to Yaris ? Check in here !! Last edited by Tiny1400; 06-04-2018 at 01:23 AM. Newbie here with Yaris Hybrid 2013! its mandatory to post pics of said vehicle! Hi guys! I am in the way of buying a Yaris 2007 Sedan 1.5L V4 US version, I am so excited because I saw one that looks and feels like new, and I am 99% sure I'll have it in the next days! Gladly I was able to find a worthy forum like this one, hope you guys keep it alive for much more years! Welcome Ricardo! I hope you snag the sedan you're after. I visited Costa Rica as part of a foreign exchange program in high school many years ago. It was beautiful and the people were so friendly. Just found this forum while doing searches for OBD2 scanners & apps. I made a post there already B4 finding this thread. I grew up in New York, lived in Florida for 30 years, now living in the Netherlands. I recently bought a 2015 Yaris Hybrid and love it! I hope to contribute to this page as well as learn more about the car! Welcome to the Yaris family. Just picked up a 2009 Yaris S sedan with 63k to replace my 03 Echo I sold with 401k on it. Well Welcome! another 400k planned ey? Maybe. This one is so much nicer than the Echo. Lots more features. Drives: Red, 2015, 4 door sedan. I'm new to this forum how do i make new threads? Hello When you click into a section where you want to post a thread, you'll see a "New Topic" button in the upper left. That's what you click to post a new thread.